Fayetteville Underground commissioned local artist, Amy Eichler, to paint a 18foot mural about UpStream Art! It has been on display at the Underground Gallery and now at hanging at the Community Creative Center at Walton Arts Center’s Nadine Baum Studios. 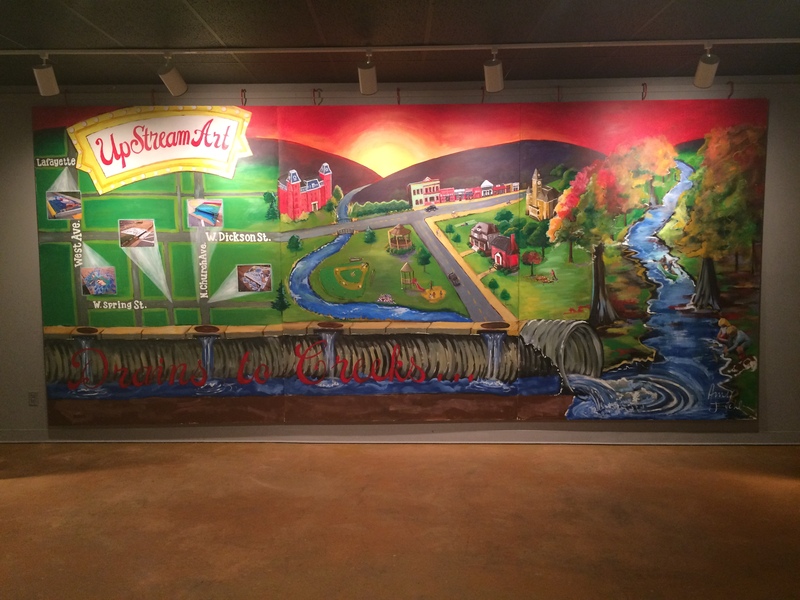 The mural shows how stormwater flows underground into our storm drain system, untreated, into creeks and streams. Amy illustrated many of our everyday activities that may lead to water pollution.